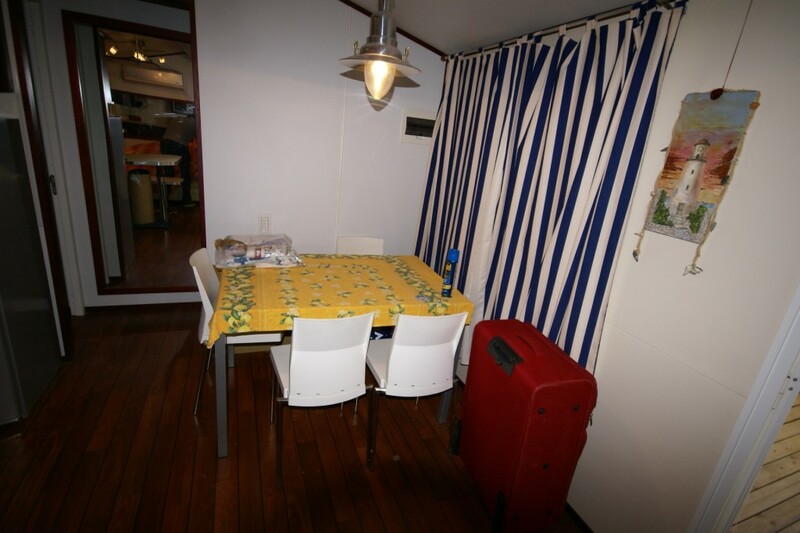 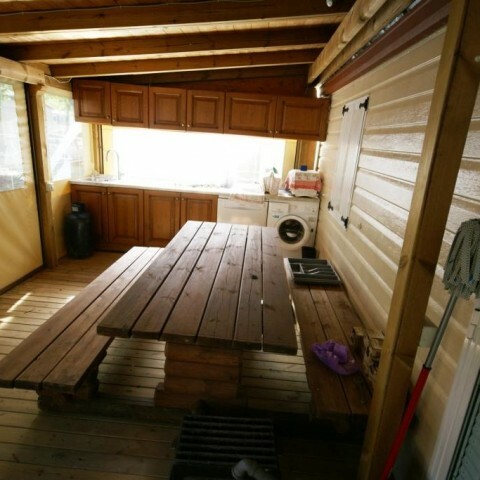 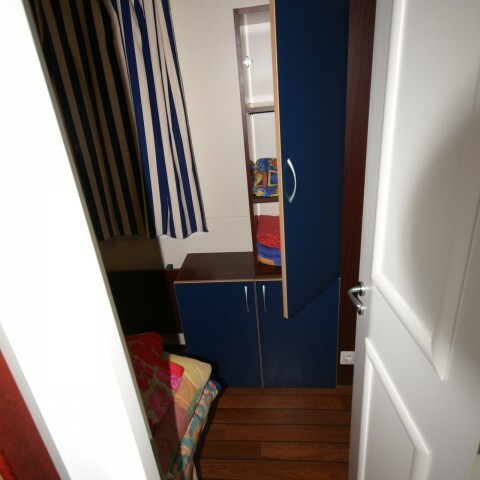 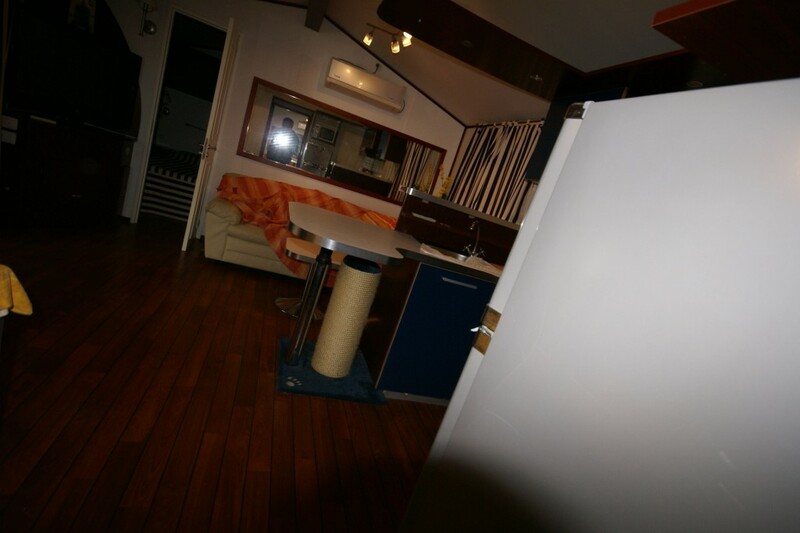 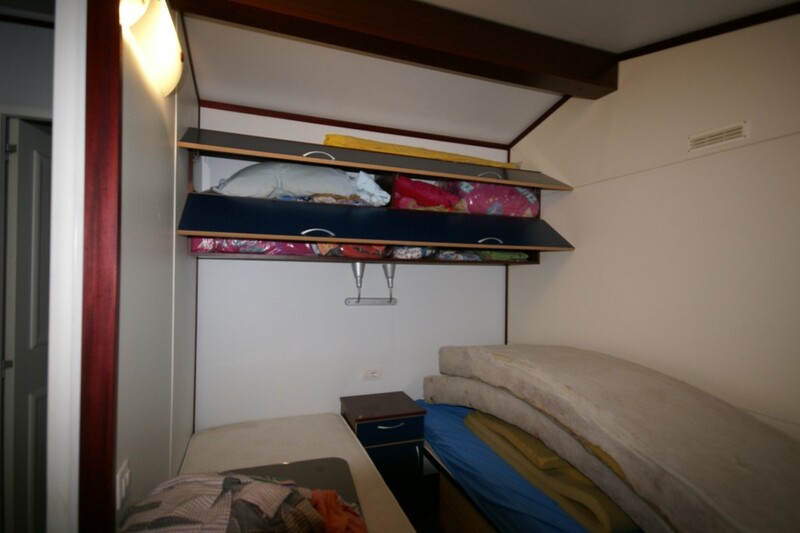 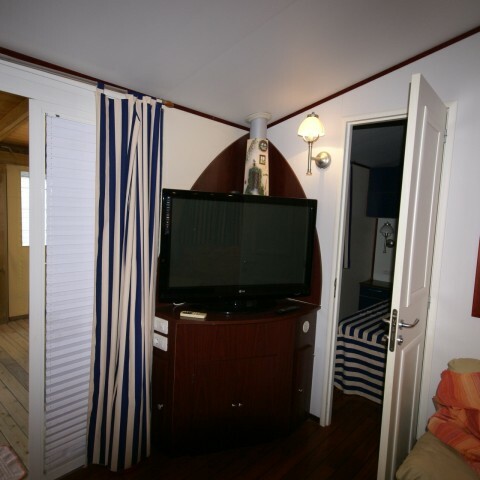 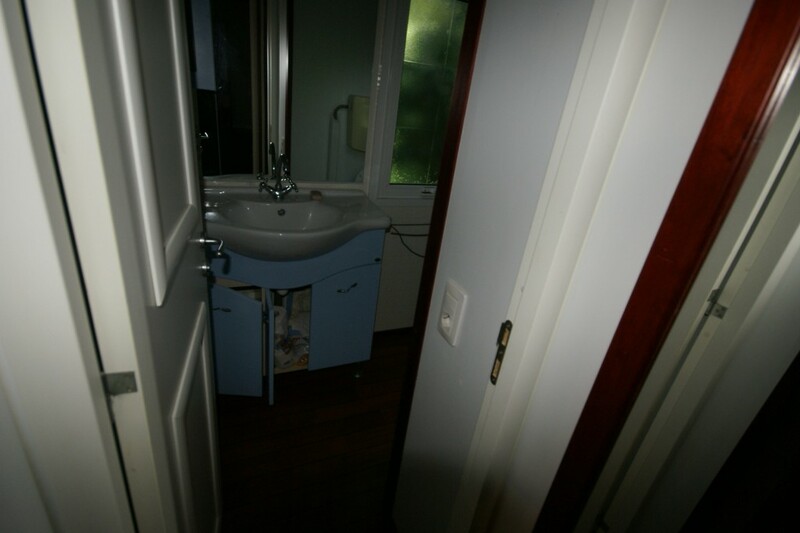 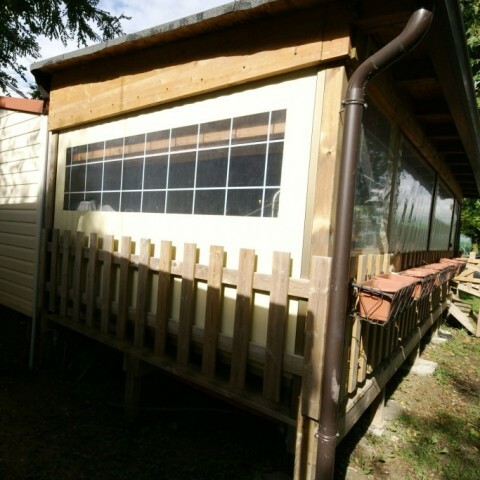 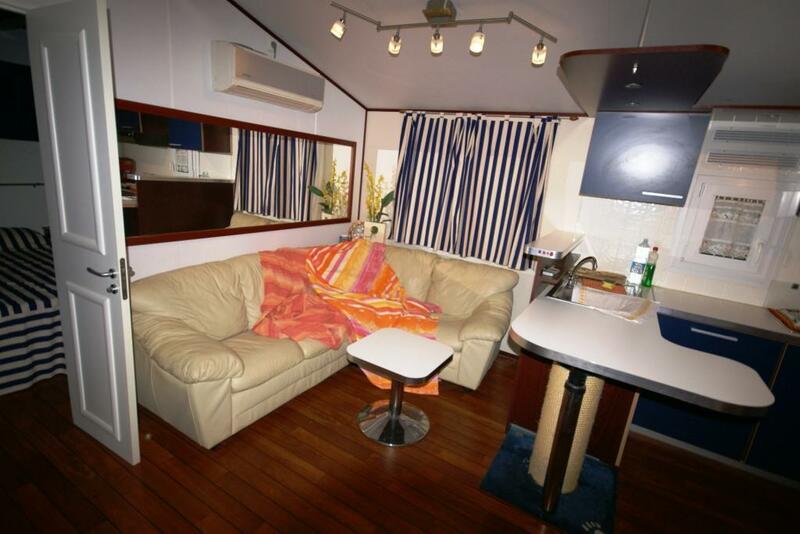 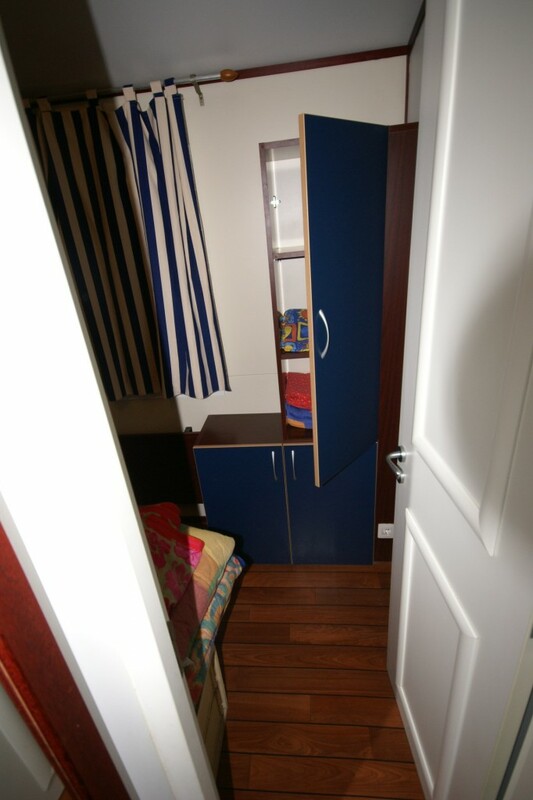 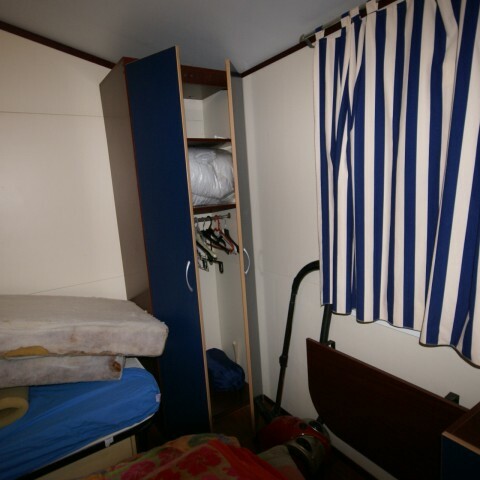 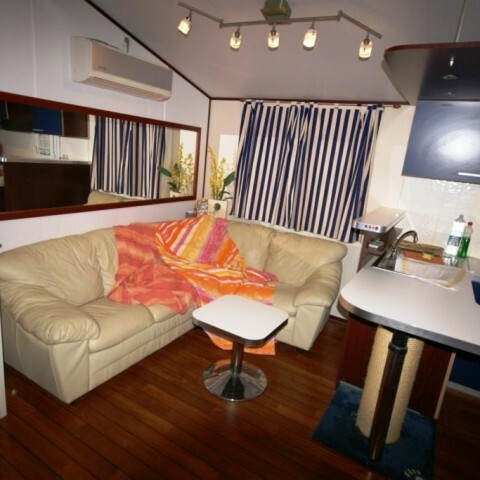 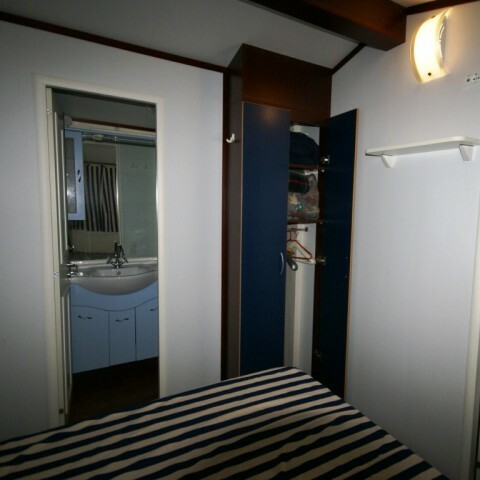 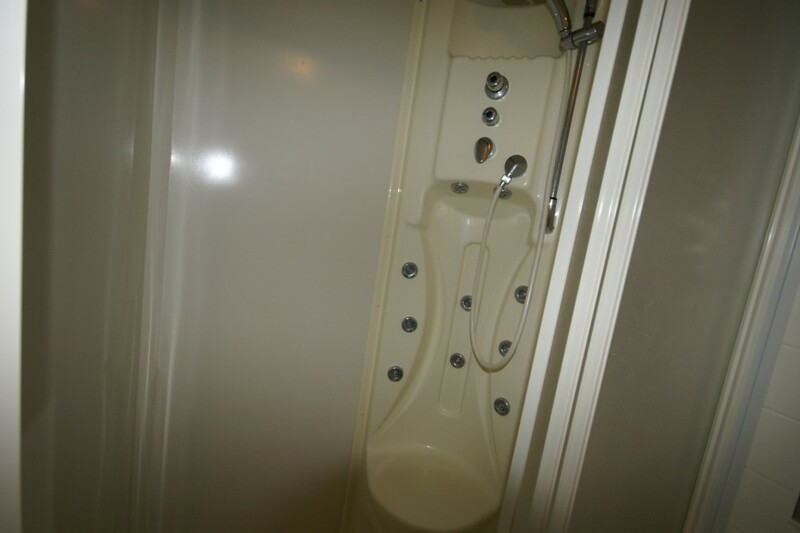 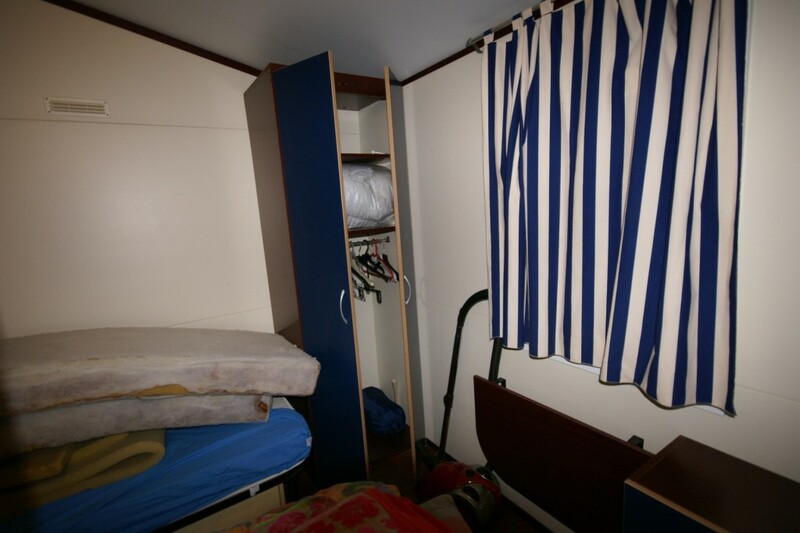 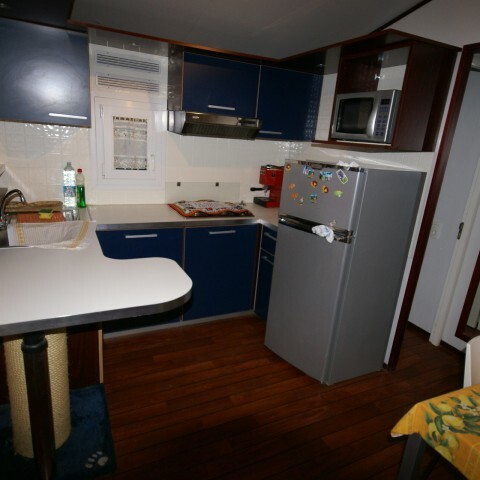 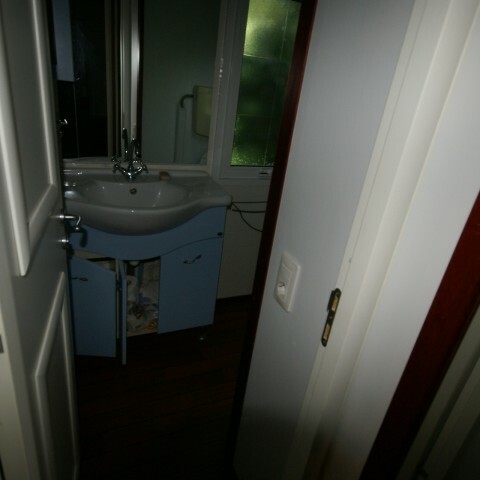 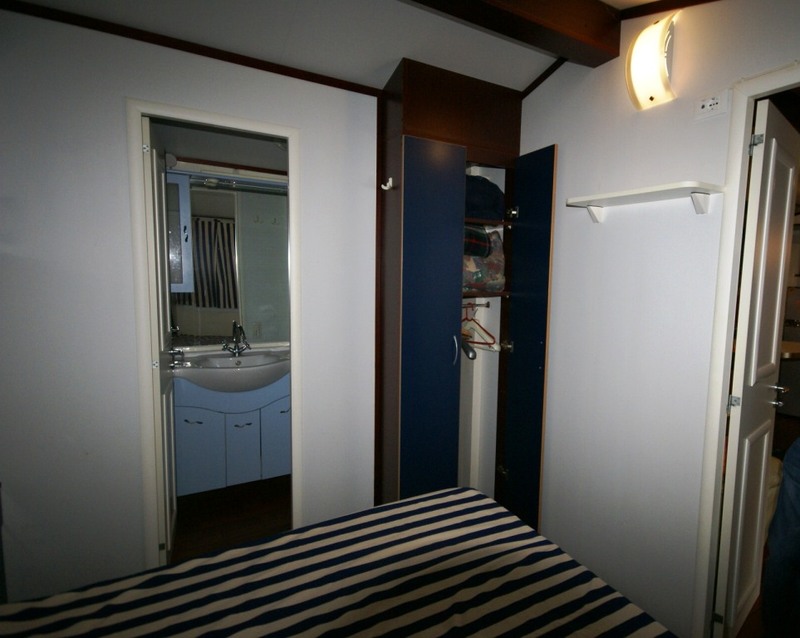 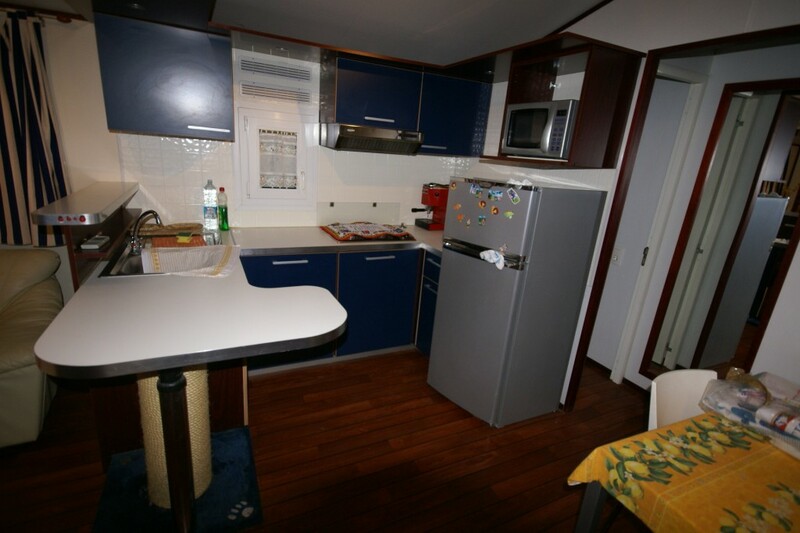 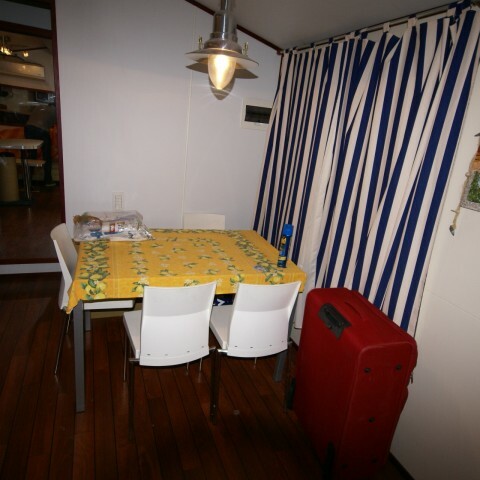 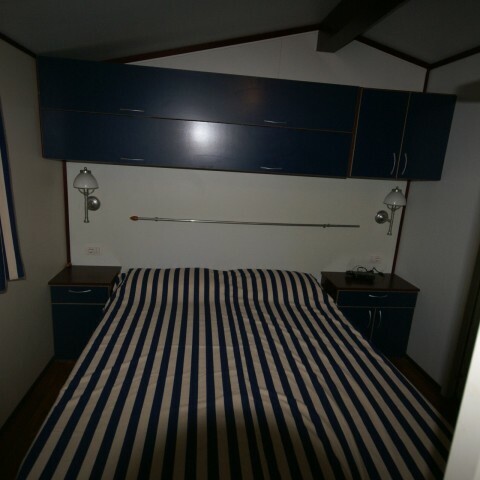 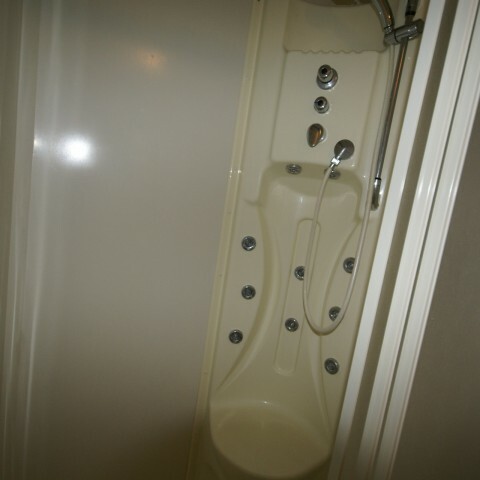 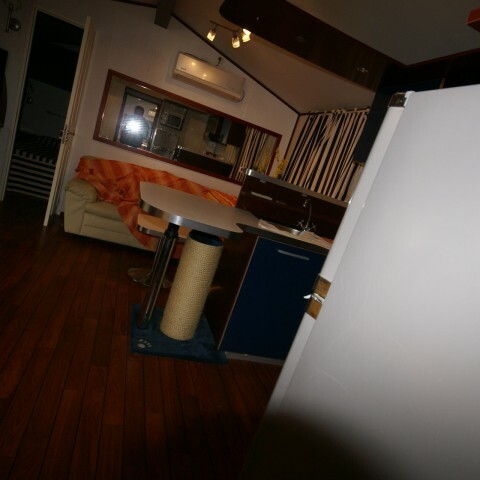 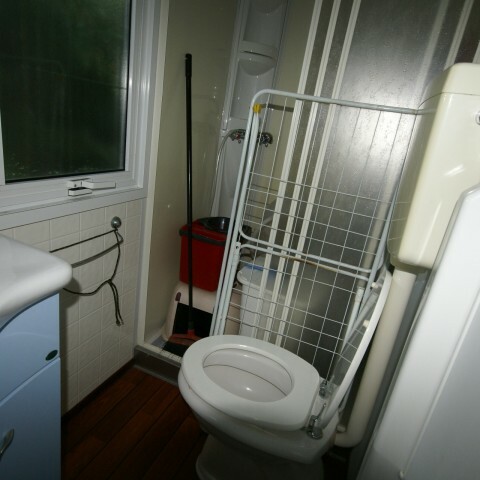 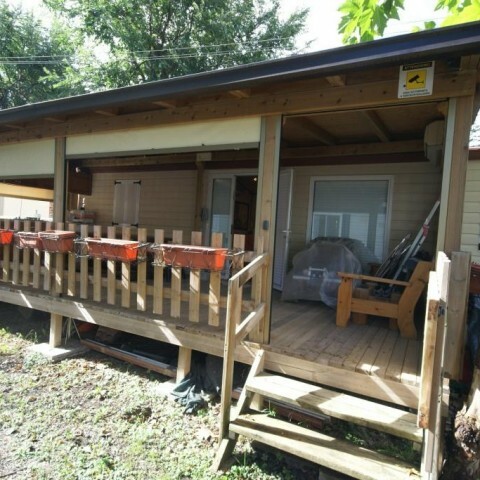 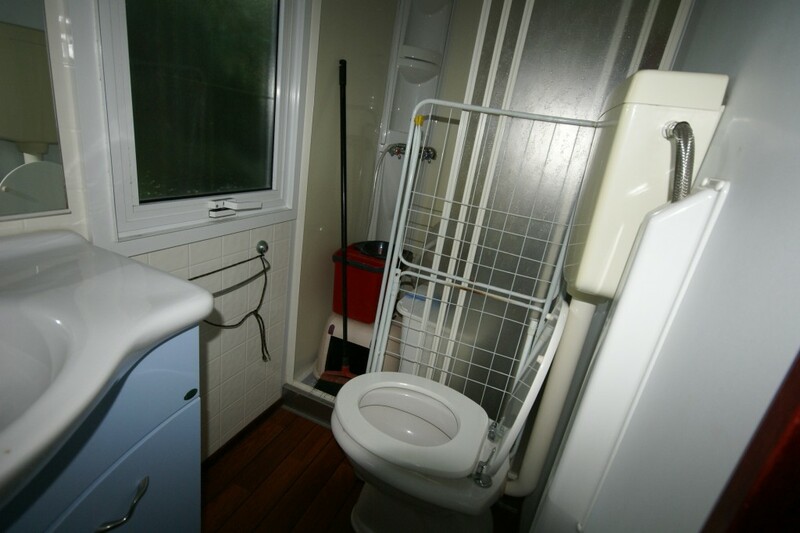 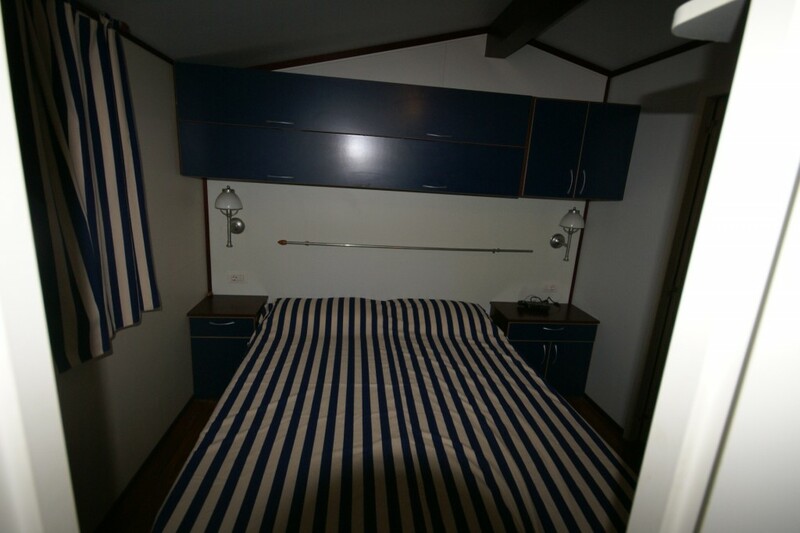 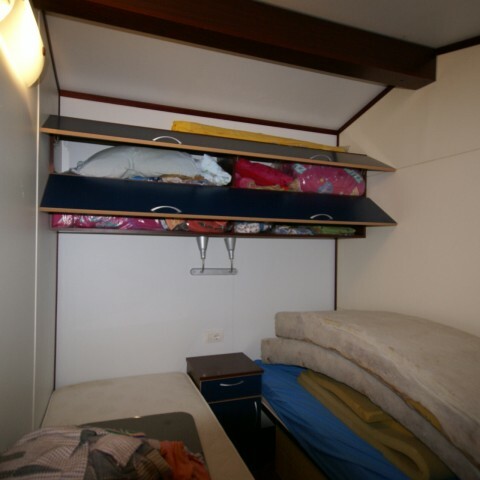 Prestige Belvedere Shelbox mobile home 10,00×4,00 mq. 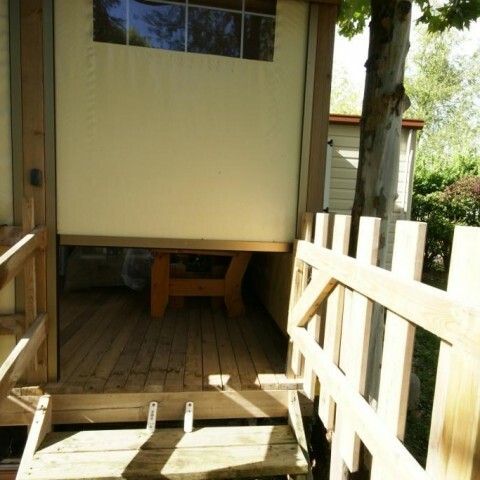 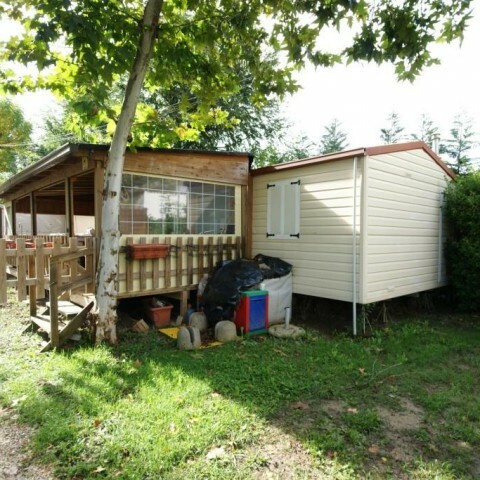 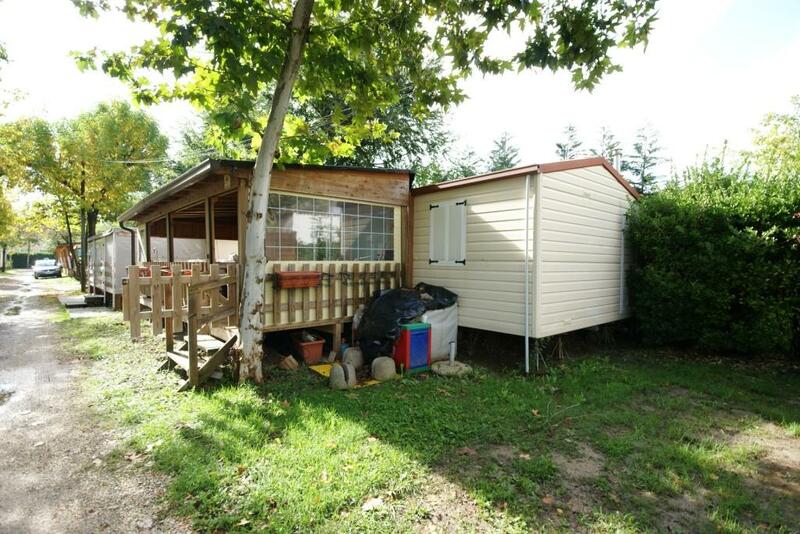 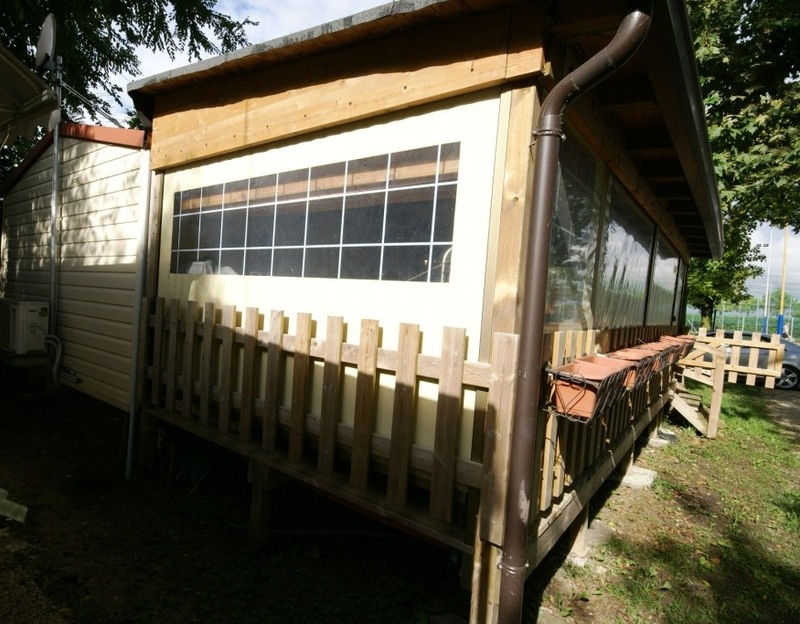 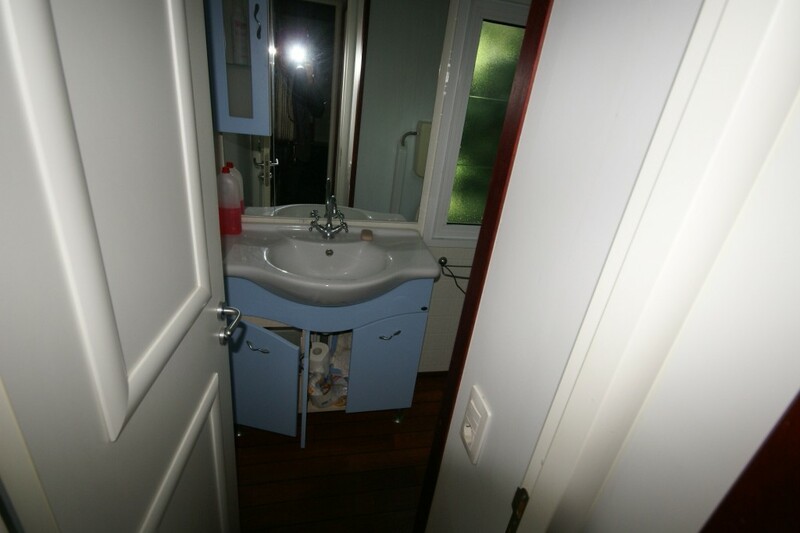 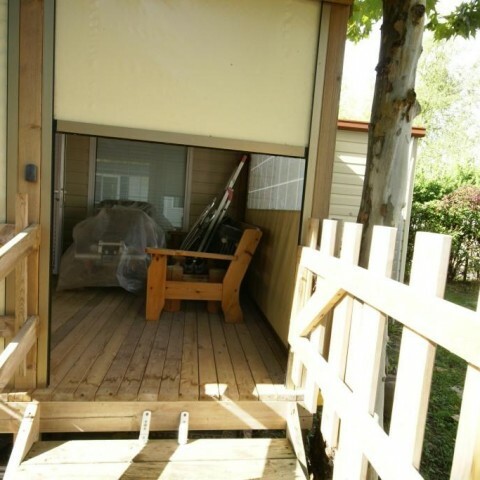 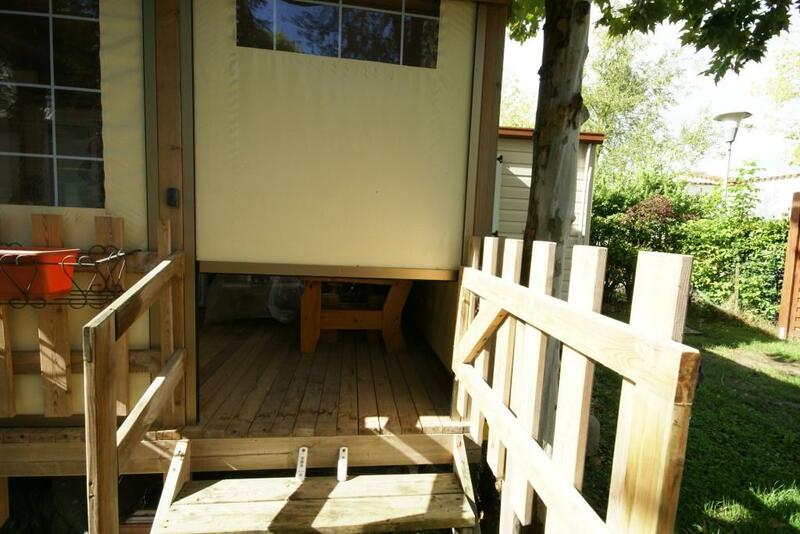 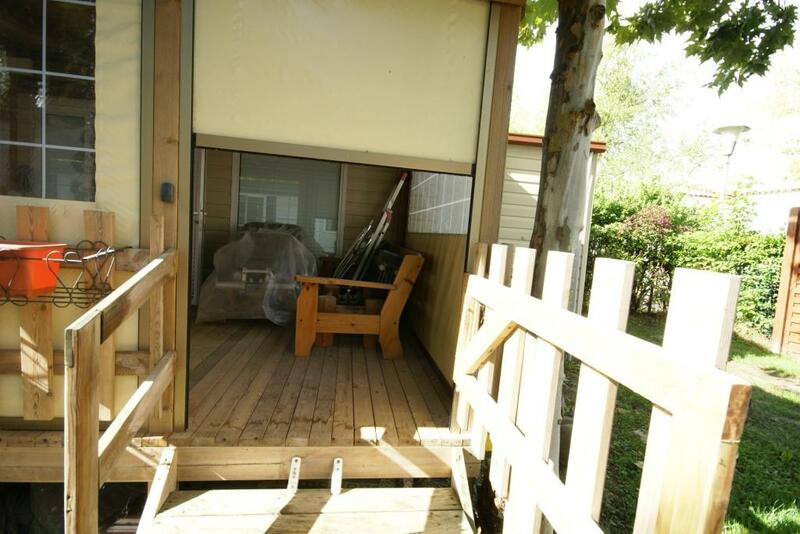 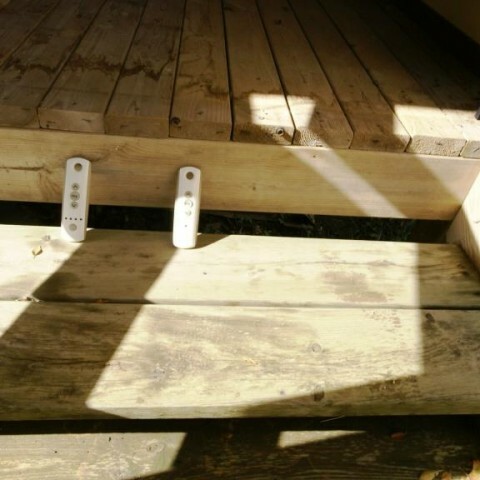 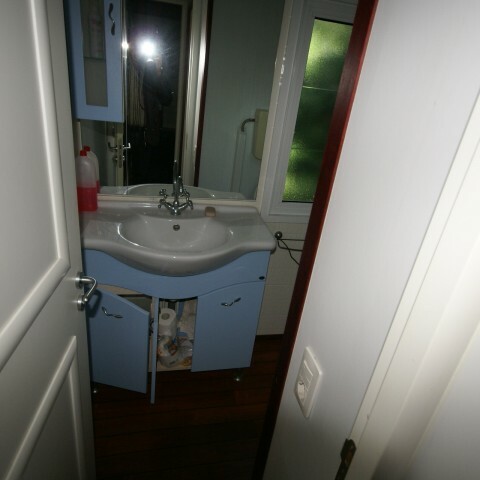 Mobile home currently installed at camping San Francesco in Caorle in the province of Venice. 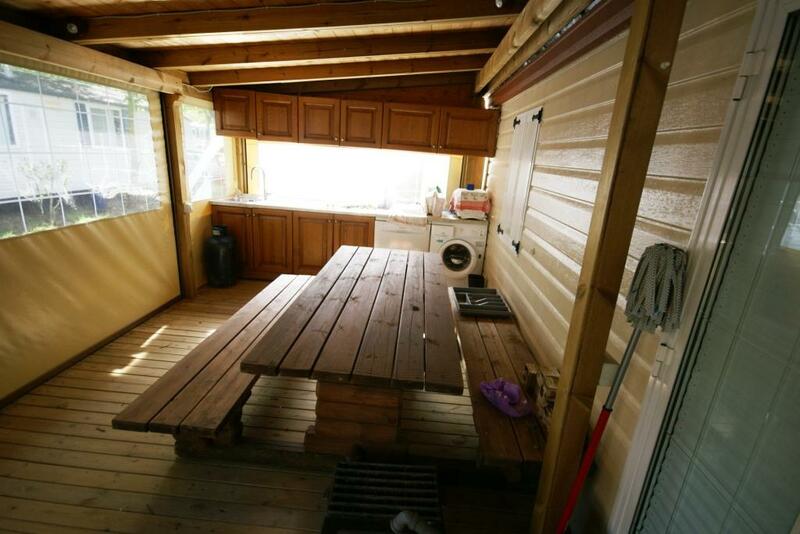 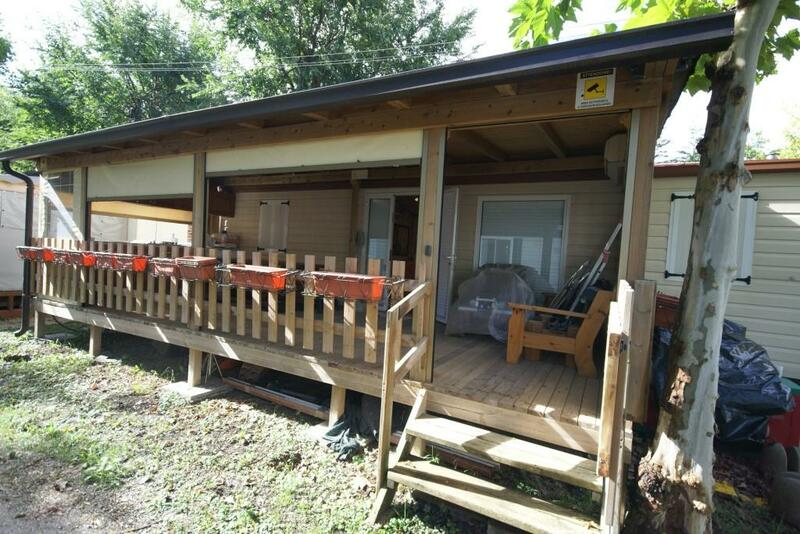 Complete with wooden covered veranda of about 8.00 × 3.00 meters, closed on 3 sides. 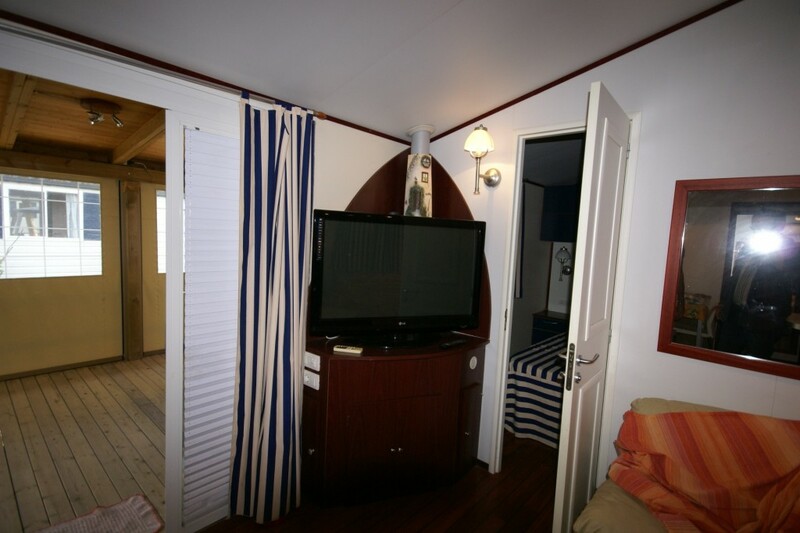 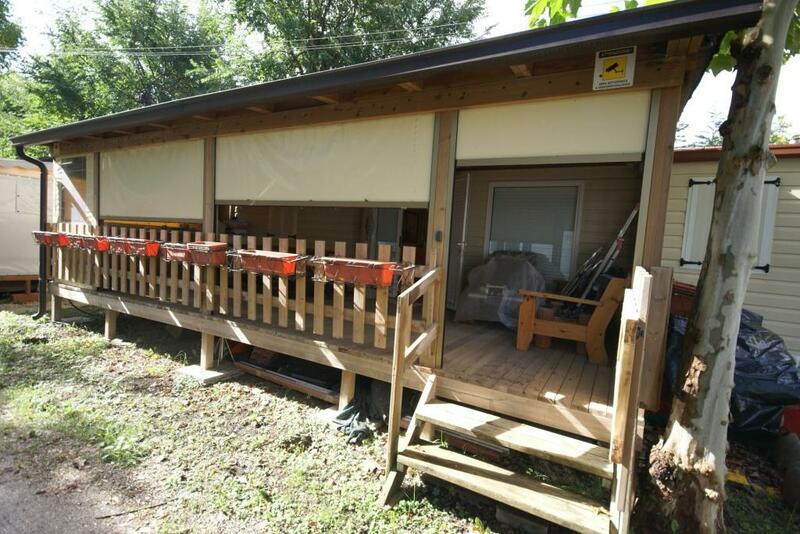 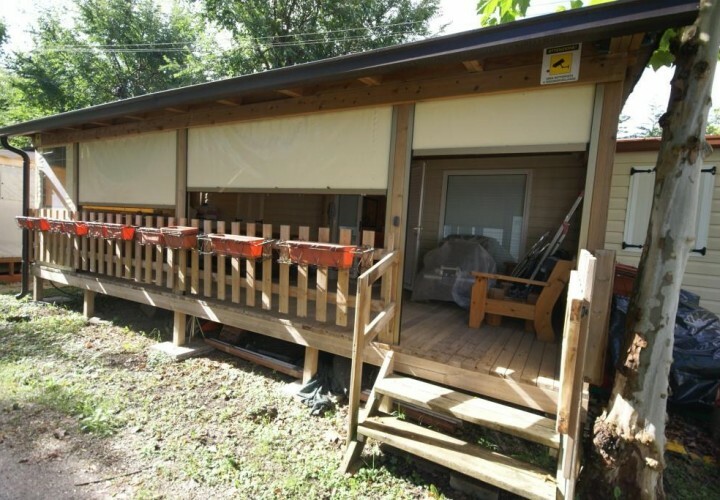 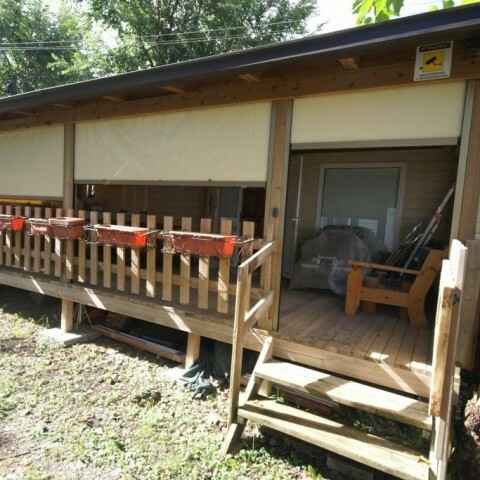 The veranda is equipped with electric motorized sunblinds and independent climate control. 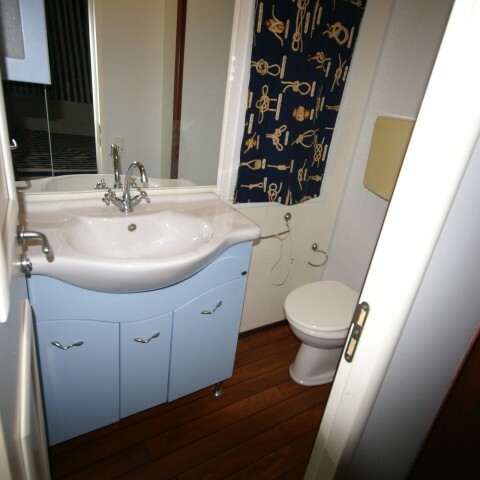 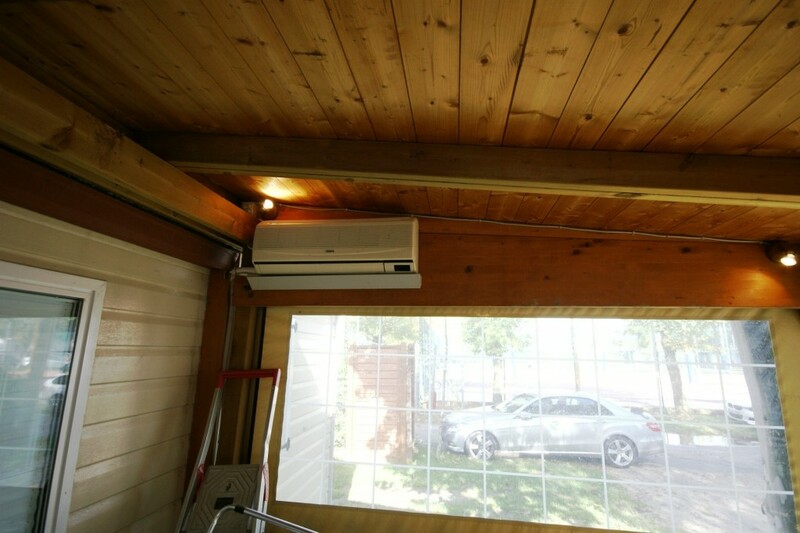 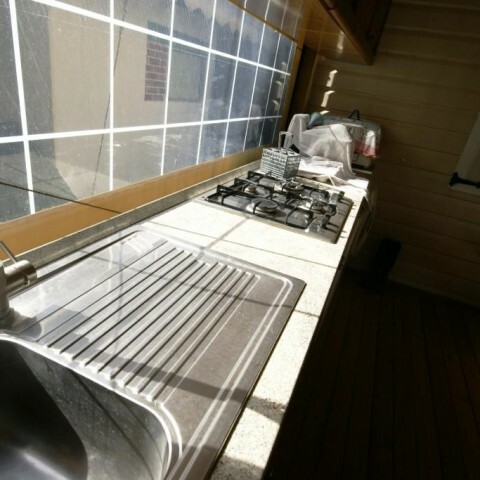 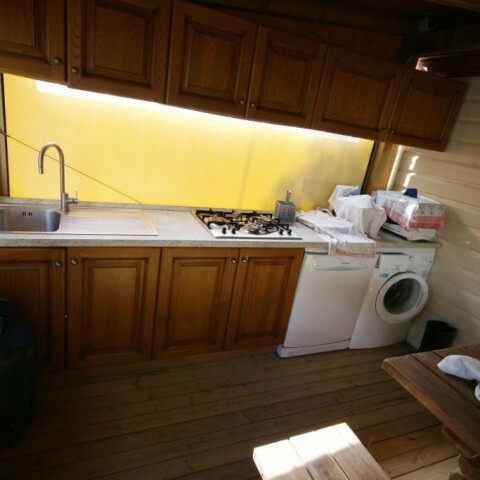 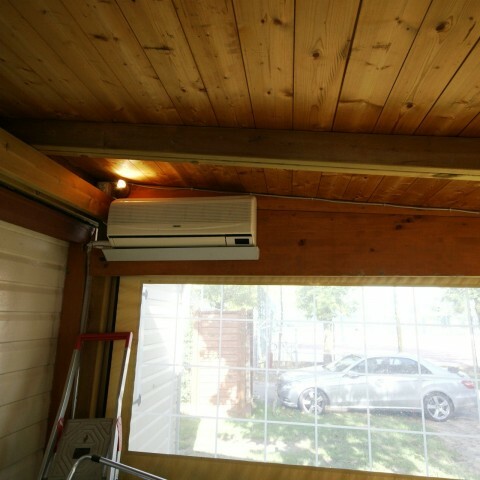 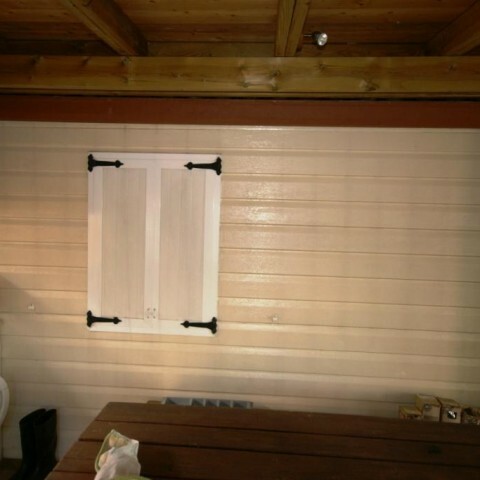 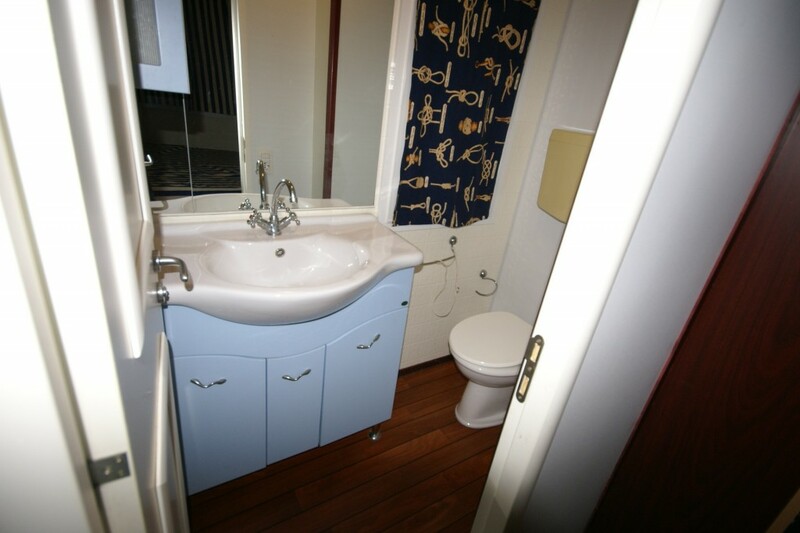 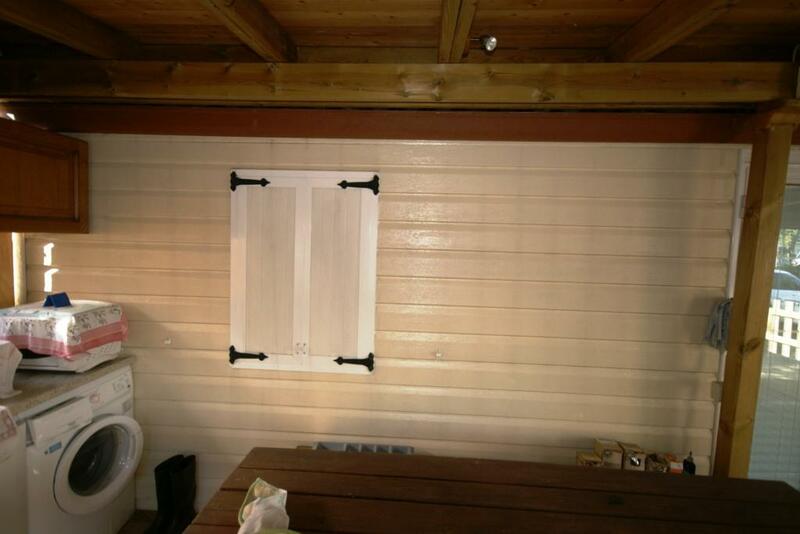 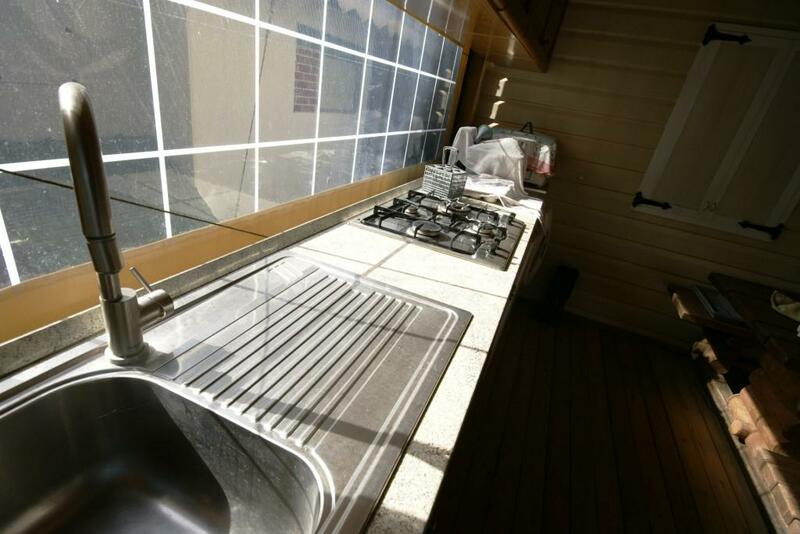 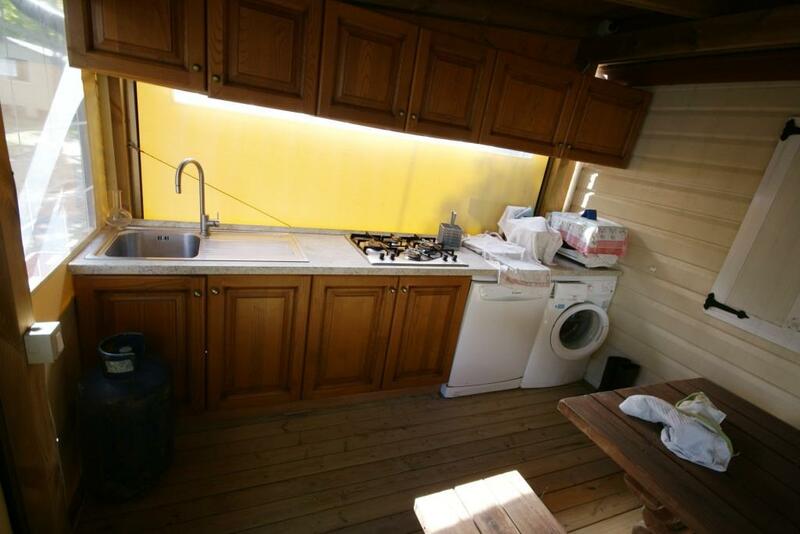 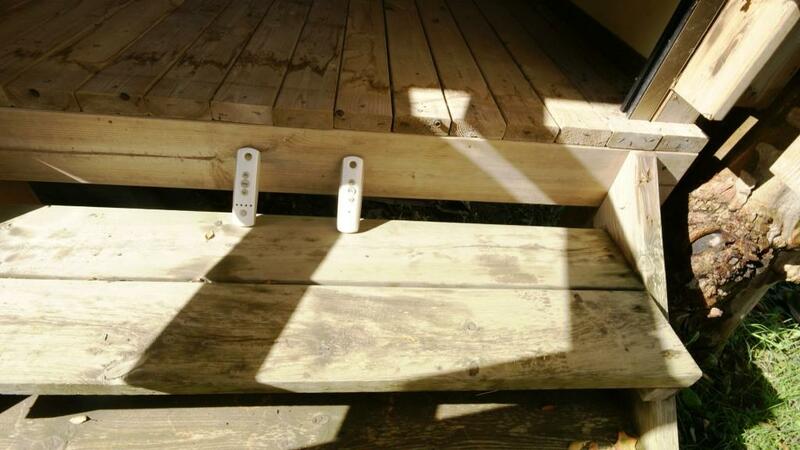 The veranda also includes an independent kitchen, as well as a newly installed one inside.